← Naughty but Nice. Look what we cooked for our Valentine’s meal! It has not been an easy project, but MISTER ORANGE is making his debut on iTunes. He has uploaded correctly at last, and after awaiting judgement by the folks at Apple who decide what can or cannot be published on their hallowed site, he is now “LIVE on 51 stores across the world”! 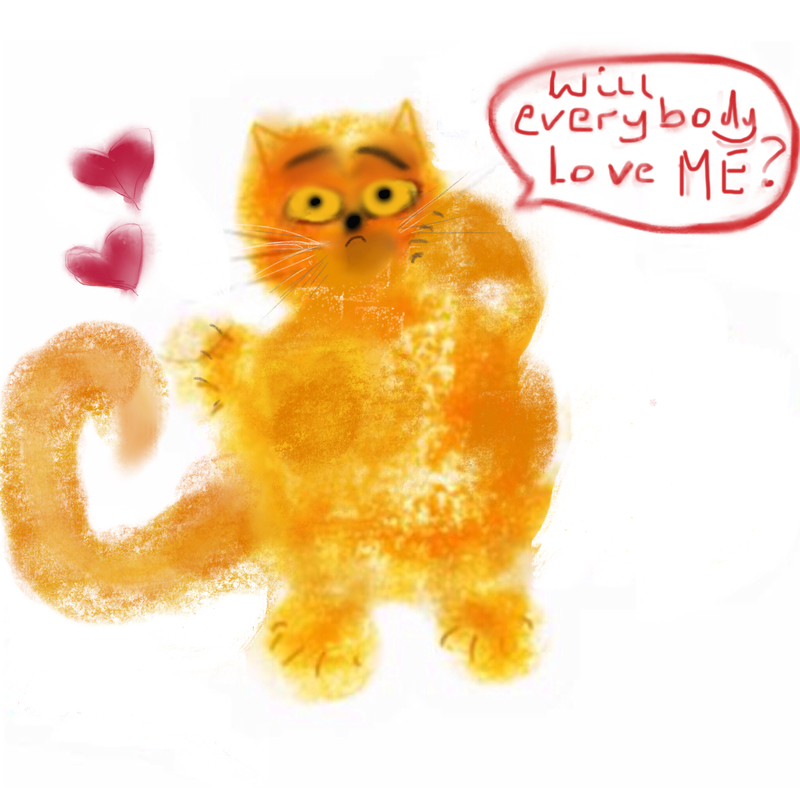 So all MISTER ORANGE can think about is, will he be a Big Hit? The under-fives in his author’s life love him, (see the header picture), but will the rest of the world feel the same? 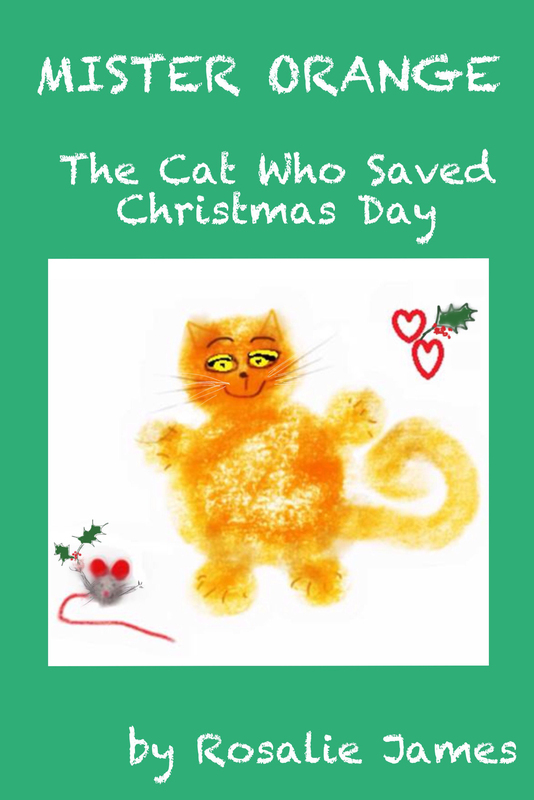 Will “MISTER ORANGE The Cat” be a mega-success story in the history of children’s picture book publications, or will he sink to the bottom of the iTunes pool? His fate, dear Reader, lies in your hands. He is biting his claws, anxiously.. The thing is, I’ve promised him it will all be worth it. 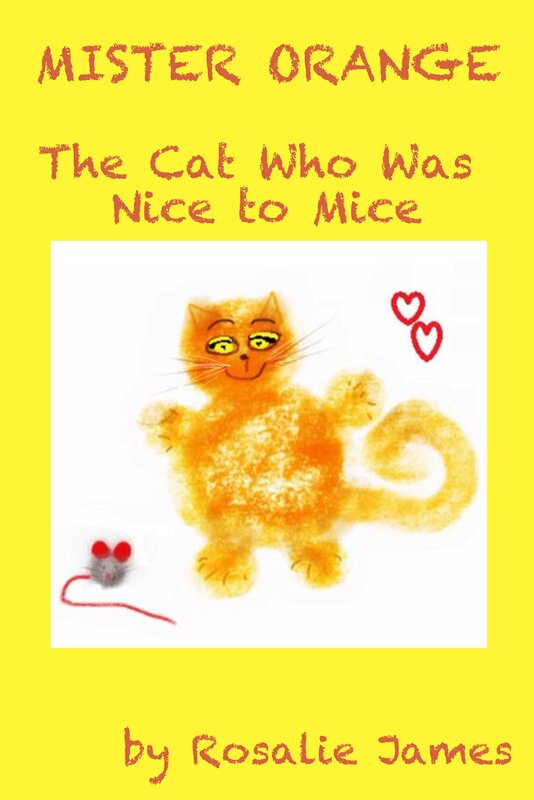 And whilst I wouldn’t say he has an inflated ego, he firmly believes that his stories are the cutest, most heart-warming humorous verse stories ever written, with the best ever illustrations. 3) Enter your details, below, to leave a comment..
4) If you want, you could always share the joys of MISTER ORANGE on your iPad with any 3-5-year-olds in your life.. 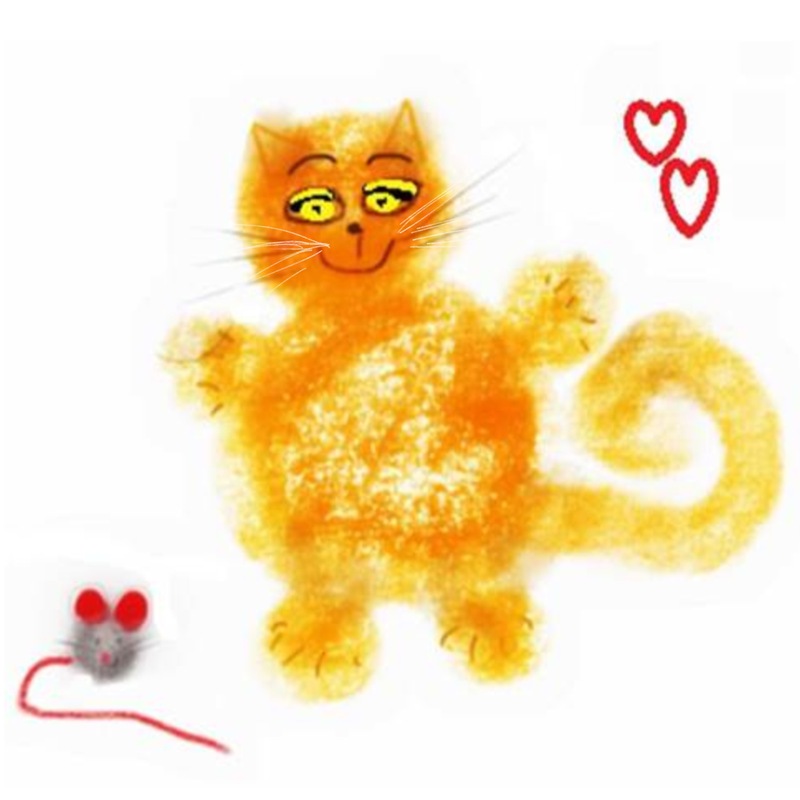 This entry was posted in Book Creator and iTunes, Children's picture books, creating art on the iPad, drawing with Procreate, e-publishing, illustrating children's books, Mister Orange The Cat, picture books for age 3-5, Procreate, self-publishing and tagged #MisterOrangeTheCat, #socialpetworking, Apple support, Book Creator, children's picture books, drawing with Procreate, e-book publishing, errors uploading to iTunes, grandchildren, how do I publish from book creator to iTunes, iPad children's books, iTunes support, re-formatting for e-books, Rosalie Ash, self-publishing, TheCatWhoWasNiceToMice. Bookmark the permalink.